Oh, the teen years - you remember them, right? For most people, it’s a memory firmly implanted in their minds forever. One of the most unforgettable parts of those years was the oh-so-attractive pimples that came along with hormonal changes and stress. For some of you, it may be even harder to forget about those tough times because you still have the reminders left on your skin...acne scars. These pitted, dark pigmented marks can lighten over the years, but can remain visible long after acne is no longer an issue. Most topical dark spot removers that promise to make scars vanish are ineffective. This is because it’s not just the dark spots, but the indentation in the skin as well. The following are some of the best ways to get rid of these pesky marks. Dermatologists and skin specialists often use microneedling and radio frequency technology to eliminate acne scarring. To reduce the discomfort from the tiny needles puncturing the skin, a topical numbing gel is applied first. Microneedling and radio frequency is a combination treatment that has been shown to be effective in treating mild to moderate scarring. It penetrates the skin with tiny needles and then radio frequency waves repair damage in the dermis. Please be aware there are some products available that mimic microneedling. These are not only ineffective but can also cause serious infections. It’s best to leave this type of treatment to the professionals. Dermabrasion is a way to “sand” the skin using a device that rapidly sprays sand-like granules at the skin. This treatment should only be done by a professional so that he or she can ensure the right number of skin layers are removed. This treatment prompts the body to produce new skin in its place, thus reducing the appearance of acne scars and other skin imperfections. Dermabrasion can be performed by a dermatologist, plastic surgeon, or highly-trained skin care professional. This is a surgical procedure performed by dermatologists. A surgical probe lifts the top level of the skin away from the scarred tissue. This can flatten the area and lighten the scar, dramatically reducing its appearance. This is especially effective for pitted acne scars; results are seen gradually over time. Dermatologists remove the scarred skin, and replace it with skin from another area, such as behind the earlobe. This treatment is most effective and for people who have severely deep acne scars. Facial fillers can be effective in treating mild to moderate cases of deep acne scarring. Administering fillers should only be performed by a highly experienced injector, such as James Christian Sardelli, RPA-C.
Injectable fillers (such as hyaluronic acid) are a temporary solution lasting anywhere from several months to about one year. Many people decide to have fillers done in conjunction with a skin treatment (i.e., dermabrasion or microneedling) to result in a younger, smoother skin texture overall. Bellafill® has been formulated and approved by the FDA to treat acne scars. The procedure is simple. Your injection specialist will add volume to the depressed area. This creates a smooth, more level appearance. For more information on how Bellafill can help with acne scarring, click here. James Christian Cosmetics offers many types of fillers, including Bellafill. Click here for more information or contact us at 1-844-iBOTOX-NOW during normal business hours. You can also reach James’ 24/7 Cosmetic Concierge line by texting or calling (917) 860-3113. 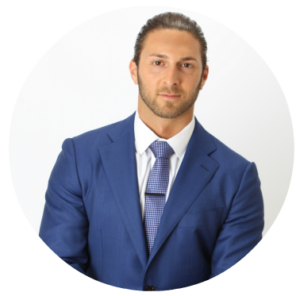 James Christian Sardelli, RPA-C provides aesthetic solutions to the Nassau and Suffolk County areas of Long Island and beyond, including Islip, West Sayville, Westhampton Beach, Commack, Manhattan, Rockville Centre, Farmingdale, and Babylon Village, NY. Bellafill® is a registered trademark of Suneva Medical.